As a sales of XFP transceiver should know that the working temperature will influence the parameters of the XFP transceiver.When the applied environment temperature of the module is changed, then the working current will change as the temperature changes. At the same time, it will lead to changes in the parameters of the XFP transceiver.Thus affecting the normal transmission of the XFP transceiver.So how to control this problem? Following is a brief introduction about how to control the normal transmission of the industrial XFP transceiver. Commercial XFP transceiver:it is the most common and widely used product in the market,it’s working temperature is 0~70℃. Industrial XFP transceiver:it is applied in a relatively harsh environment,the difference of working temperature is big.It’s basic working condition is that it must meet the temperature requirement of - 40 ~ +85 ℃ . 1、The requirement of the hardware: The used IC(chip),TO CAN(laser) must reach the grade of industrial temperature. 2、Physical cooling:Perhaps most practitioners have had the same experience when they were young.When you have a high fever,your parent will stick a cooling paste on your forehead,this is the physical cooling.Of course,it is used the heat dissipating silica gel to do the physical cooling in the XFP transceiver.That is to make the heat of TO send out as soon as possible.Maybe you will have a question,if it is low temperature?Is there not a contradiction?Please read blow,this is the most important technology. 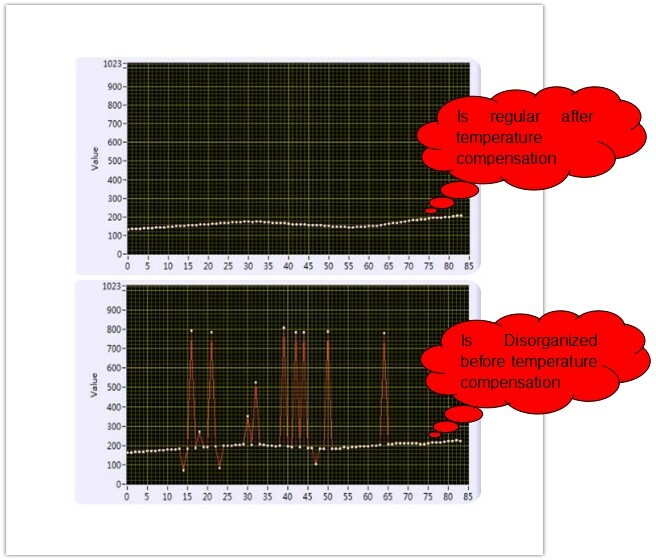 3、Temperature compensation software:The function of temperature compensation is to control the stable working current supply of the XFP transceiver.When the temperature changes,the temperature compensation software will play it’s role at this time. The eye diagram of XFP transceiver on high temperature of 85 degrees without written temperature compensation(like picture 2) is abnormal.All the parameters of the XFP transceiver are changed;After the temperature compensation is written,so that makes an abnormal eye diagram becomes a perfect eye diagram(like picture 3).The normal eye diagram should contain from “000” to “111”in all state group,8 states formed an eye diagram.